The IRIS Program is a Medicaid Home and Community-Based Services (HCBS) waiver for self-directed long-term supports. The program is an option for adults with long term care needs. The Wisconsin Department of Health Services, Division of Medicaid Services (DMS), Office of IRIS Management under the authorization of the Centers for Medicaid and Medicare Services (CMS) is responsible for oversight of the IRIS program. IRIS is available to Wisconsin residents determined financially eligible for Medicaid, functionally in need of nursing home or Intermediate Care Facility for Individuals with Intellectual Disabilities (ICF/IID) level of care; and living in a county where managed long-term care and IRIS are available. People who are eligible have the choice of IRIS or managed care through their local Aging and Disability Resource Center (ADRC). INCLUDE – Wisconsin frail elders, adults with physical disabilities and adults with intellectual/developmental disabilities with long term care needs who are Medicaid eligible are included and stay connected to their communities. RESPECT – Participants choose their living setting, their relationships, their work, and their participation in the community. I SELF-DIRECT – IRIS is a self-directed long term care option. The participant manages an Individual Services and Supports Plan within an individual budget and the guidelines of allowable supports and services to meet his or her long term care needs. The participant has the flexibility to design a cost-effective and personal plan. People who choose IRIS design a waiver-allowable Individual Services and Supports Plan to meets their functional, vocational, and social long term care needs. Wisconsin has Medicaid Home and Community Based Services waivers 1915(c) and the Self-Directed Personal Care State Plan Amendment 1915(j) approved by The Centers for Medicare and Medicaid Services. These CMS approved applications define the types of services and goods included in the IRIS program. Persons enrolled in IRIS manage goods and services to meet their long term care needs and use IRIS-funded, waiver eligible supports and services to remain in the community and avoid institutional care. 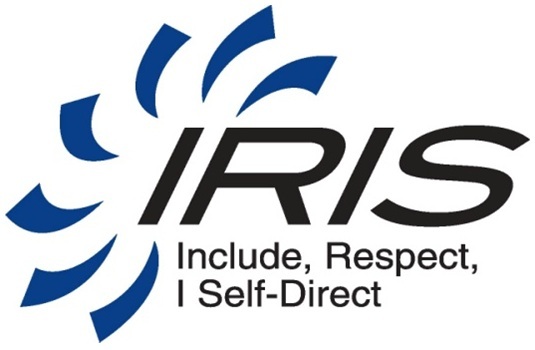 IRIS program participants are supported in self-direction by IRIS Consultants and Fiscal Employer Agents. For information on how to apply for the IRIS Program, contact your local ADRC to see if you may be eligible. People who are enrolled in IRIS who are seeking assistance should contact their IRIS Consultant or the IRIS Service Center at 1-888-515-IRIS (4747).